This season we have entered 8 teams to compete in the South Wales Junior Cricket Leagues. Under 17’s (Tuesdays), Under 15’s, (2 sides Thursdays), Under 13’s (2 sides Mondays) Under 11′s (Tuesdays),and Under 10’s ( 2 sides Wednesdays). N.B. Match days are occasionally subject to change. 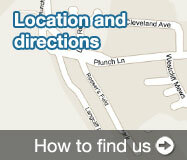 Age group Organisers / Coaches will advise when weekly training will be held. We have entered both the Under 15 & the Under 13 Welsh Cups, and the U15 ECB National Tournament. Under 9’s will participate in friendly softball games against other clubs. 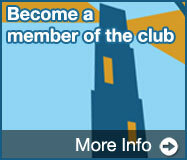 Further details may be found on the club website www.mumblescricket.com, follow the Junior Cricket – Junior Fixtures link. In the league where we have two sides in an age group competition, we are required to nominate separate squads for each team. Once the season is underway players will not be able to transfer between squads. 1) Rotation of players in the squad throughout the course of the season. Selection will consider individual availability, the balance of the side, and the perceived strength of the opposition. 2) In the majority of matches we will endeavour to give players the opportunity to either bat or bowl. However against stronger opponents, or as the state of the game dictates, this may not always be feasible. Under 11, and Under 10 age groups play pairs cricket where all are guaranteed to bat. To bowl in a game players must be able to bowl overarm. 3) In the majority of League games we intend to use a minimum of 6 bowlers in each match. 4) The Coach will determine the batting order, and will give the Captain guidance on who should bowl. The Coach will provide on field assistance and guidance. This will be considerable at Under 10 & 11 level, but incrementally less from Under 13’s onwards, as the players hopefully become more competent and tactically aware. 5) For each match there will be a nominated Captain. Individuals identified by the Coach as potential leaders will be given the opportunity to captain the side in selected matches. 1) Our objective will be to progress as far as possible in each cup competition. 2) To ensure this progression it will not always be possible to guarantee certain levels of involvement for individuals in each match. Players will be deployed to bat and bowl with the objective of securing a winning outcome. 3) Selection will be on merit. The Coaches will pick what they consider to be the best available team from the entire playing membership eligible for the competition concerned. For example, re the Under 15/13 Cups, players in younger age groups will be considered for selection. Players, parents, and guests are asked at all times to abide by the Club’s Codes of Conduct, and the Cricket Board of Wales “Chwarae Teg” charter. 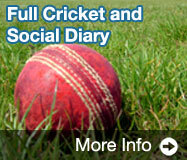 Copies of these policies are displayed on the Spirit of Cricket notice board in the Pavilion. Giving us as much notice as possible of your child’s availability for matches. Where required, complete a Registration Form with e mail address, and mobile phone number so we may notify you of selection, training times etc. Looking forward to an enjoyable, successful, and hopefully dry season! Mumbles Cricket Club is aware that potentially cricket can be quite costly for parents (especially when you have more than one child who plays the game). If you visit a retail shop, or cricket equipment website, there will be a vast selection of bats, pads, helmets, and other accessories for sale. Don’t worry, not all of these are essential for your child to own! Mumbles Cricket Club provides age group communal kit bags, with bats, pads, gloves and helmets which junior players are welcome to use. All juniors from the age of 10 years (school year 5) will have the opportunity to play competitive cricket, and are expected to have a white cricket shirt, and trousers. It is desirable that all youngsters representing the club in league matches ( Under 10’s – Under 17’s) have a club playing shirt and cap. 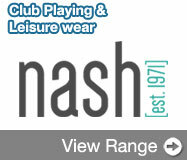 These latter items are only available through our Kit Store supplier Nash Sports ( see below). It is essential that they have their own abdominal protector (or ‘box’). This must always be worn when batting against a hard ball. Wearing the box is made a lot easier if you have the right pants on! Box underwear will have a pouch in the front to secure the box into position. There are many ‘budget’ sports retailers that sell these items at reasonable prices. Mumbles Cricket Club has its own branded playing kit, including junior playing shirts trousers and caps, as well as a leisure clothing range. Items may be ordered directly from our official local supplier Nash Sport, via the Club’s website: www.mumblescricket.com. or by calling in at their shop in Sketty. Sample sizes of playing shirts and trousers are available to try on in the shop. Follow the Kit Store 2018 link on the Home page. Cricket shoes (spikes) are not essential, trainers are acceptable. Some of our junior Under 10/11 games are played on artificial wickets (e.g. Murton) where spikes are prohibited, as they are in our nets at the club ground. If you are uncertain as to what is required, or need some general advice on cricket equipment, Steve Davies, Junior Cricket Co-ordinator, and Club coaches will be happy to advise you.